Who in history compares to Hillary and Donald? Pardon me for being a bit obtuse, but what is the point of the special counsel Robert Mueller’s report? Attorney General William Barr quotes Mueller saying his report “does not exonerate” President Trump. Since when is it the job of a prosecutor to exonerate anyone? Prosecutors charge someone or don’t. Exoneration is up to juries and judges. First, Barr states “the investigation did not establish that members of the Trump Campaign conspired or coordinated with the Russian government in its election interference activities.” Collusion is not a crime. People can combine their efforts to reach a mutually beneficial goal. That is not a crime unless one is breaking anti-trust law. It may be politically unwise, but it is not a crime. Second, under the obstruction of justice part of the report, Barr states that “while this report does not conclude that the President committed a crime, it also does not exonerate him.” How can Trump obstruct justice if there was no crime to investigate in the first place? After two years this all they’ve got? Sometimes the most notable aspect of a news story is what is not in it. New Jersey is leading the appeal of a lower court ruling upholding the law. The story reports that the Nevada casino lobby is siding with New Jersey, saying they hope the expansion of state-sponsored regulated betting would effectively end illegal offshore betting competition. What the story does not say is where casino owner Sheldon Adelson stands on the matter. Adelson, who happens to own the newspaper, has been a vocal opponent of online wagering, but his Venetian casino sports book has a mobile app that can be used anywhere in Nevada, which seems like online gambling. The story doesn’t even have one of those disclaimers saying the Adelson family owns the paper. 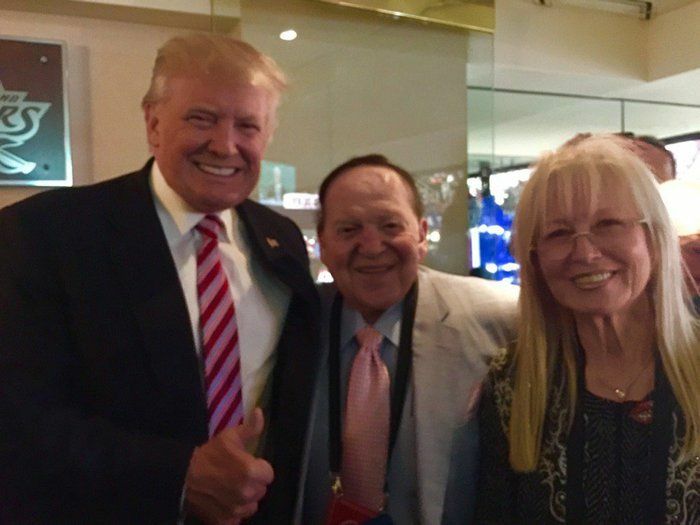 According to an article at The Federalist in August, Adelson has spent years trying to outlaw internet gambling. He was pressing to extend the Federal Wire Act of 1961 to ban the “bad, addictive” practice of online gambling. The bill is called the Restoration of America’s Wire Act. The original act intended to stop “mobsters from using telephone and telegraph systems for organized crime, most notably for horse racing and other sports betting.” This was before the Internet, of course. Online and sports betting seem to be somewhat connected. Yet his sports book has an online app for betting. A little clarification might be in order. Today The New York Times has a story saying President Trump made a “widely disputed allegation” that President Barack Obama ordered the wire tapping of his campaign. It also reports that Obama and his former aides have called the accusation completely false. “Mr. Trump’s demand for a congressional investigation appears to be based, at least in part, on unproved claims by Breitbart News and conservative talk radio hosts that secret warrants were issued authorizing the tapping of the phones of Mr. Trump and his aides at Trump Tower in New York,” the newspaper reports. This same newspaper reported on Jan. 19, prior to Trump’s inauguration, that law enforcement and intelligence agencies were examining “intercepted communications” and financial transactions that were part of an investigation of contacts between Trump and his associates with Russian officials. 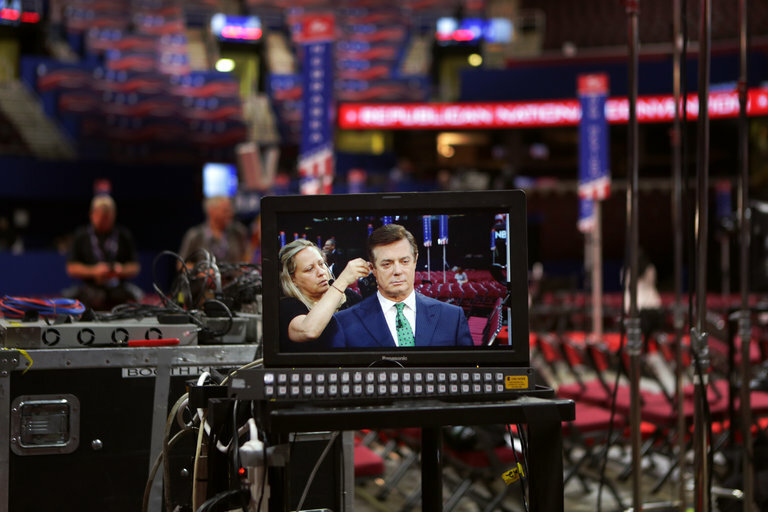 The Trump associates included his former campaign chairman Paul Manafort, according to Times sources. What could possibly have caused Trump to believe his campaign was being wire tapped? Representatives of the agencies involved declined to comment. Of the half-dozen current and former officials who confirmed the existence of the investigations, some said they were providing information because they feared the new administration would obstruct their efforts. All spoke on condition of anonymity because they were not authorized to discuss the cases. Numerous news outlets, including The New York Times, have reported on the F.B.I. investigations into Mr. Trump’s advisers. BBC and then McClatchy revealed the existence of a multiagency working group to coordinate investigations across the government. Nevada knows nukes, or at least we used to. First, the election of Donald Trump reignited the debate over the possible resurrection of Yucca Mountain as a nuclear waste repository. Now, with a simple tweet Trump has reopened discussions about the preparedness, or lack thereof, of America’s nuclear arsenal. “The United States must greatly strengthen and expand its nuclear capability until such time as the world comes to its senses regarding nukes,” Trump’s 118-character missive declared this past week. Trump’s newly appointed spokesman Sean Spicer went on television the next day and said the president-elect was not trying to restart an arms race with Russia and China but rather deter one. This would be a sharp reversal of Obama’s avowed policy of avoiding nuclear proliferation. In 2009 he called for the U.S. to lead efforts to rid the world of nuclear weapons — putting the Genie back in the bottle as some might say. Nevada was ground zero for nuclear preparedness throughout the Cold War. 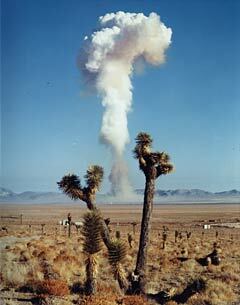 On a 1,375-square-mile tract of land in Nye County known first as the Nevada Proving Grounds, then the Nevada Test Site and now the Nevada National Security Site (NNSS), thousands of workers developed the nation’s nuclear deterrence capabilities by detonating more than 900 nuclear devices. A few workers there continue to experiment with subatomic tests. With most of the nation’s nuclear arsenal sitting on the shelf for decades, NNSS would be the logical location for testing, refitting, overhauling, updating and replacing those weapons. But Yucca Mountain and nearby Groom Lake, or Area 51 — where stealth aircraft and other top secret weaponry have been tested for decades — could also play a role. Instead of dumping commercial nuclear reactor waste at Yucca Mountain, it could be reprocessed, as many other nations do. But in 1977 Jimmy Carter banned reprocessing because it creates weapons-grade nuclear material and he feared a nuclear proliferation and potential for that material to be obtained by terrorists or a rogue state, which has never happened, though Great Britain, France, Japan and others routinely reprocess. That weapons-grade material from reprocessing could be used to update the arsenal and the reprocessed fuel could power commercial nuclear reactors for years and drastically reduce the amount of waste. The nation’s offensive and defensive efforts under Obama have lain fallow. The three Nevada sites could be employed to do more than merely deter sane nations with a policy of mutually assured destruction — appropriately summed up with the acronym MAD. Research and development could be directed toward deploying reliable countermeasures against an ICBM attack from an orbit over the South Pole, which was not envisioned back in the day of Ronald Reagan’s Strategic Defense Initiative. And it need not be just anti-ballistic missile technology. Little has been done in recent years to harden the nation’s electric grid and electronic technology against the disabling power of the electromagnetic pulse (EMP) that is generated by a nuclear weapon, which could leave the entire nation in the dark, without communications or operational vehicles. That could come from terrorists or one of those rogue dictatorships that have or are developing nuclear devices, not just Russia and China. Research also needs to continue on electronic rail guns that could target incoming missiles, as well as EMP or laser or X-ray weapons that use a small nuclear detonation as a source of energy — ground- or space-based. Nevada has the infrastructure in place already, though most of the worker expertise has moved on or died off. The state’s universities and the Desert Research Institute could be called upon to educate the necessary workforce, as well as the various nuclear labs around the country that have seen personnel laid off and budgets cut. Nevada has long contributed to national defense, it could continue to do so. A version of this column appeared this week in many of the Battle Born Media newspapers — The Ely Times, the Mesquite Local News, the Mineral County Independent-News, the Eureka Sentinel and the Lincoln County Record — and the Elko Daily Free Press. It is a bit disappointing that Republican President-elect Donald Trump’s nominee to head the Interior Department, which along with other federal agencies controls 85 percent of Nevada, does not embrace his own party’s call for more federal public land to be transferred to the control of the states and local governments, but at least freshman Montana Rep. Ryan Zinke recognizes the need for better cooperative management of those lands. But Zinke told the Billings Gazette he doesn’t support the transfer of federal lands. 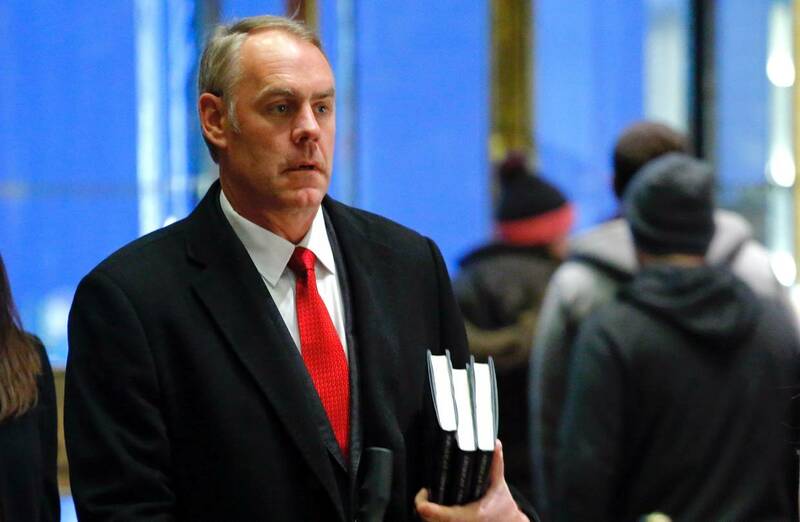 He has proposed setting up watchdog panels composed of state, tribal and local government representatives and the mining industry to oversee Interior Department land management. At least he includes benefits along with enjoyment. Since he seems to favor cooperative management, he would do well to heed the suggestions made by a group of Western policy organizations recently in a letter to Trump and Vice President-elect Mike Pence. The Western Governors’ Association, Conference of Western Attorneys General, Council of State Governments West, Western Interstate Region of the National Association of Counties, and the Pacific NorthWest Economic Region collaborated to produce what they are calling “Principles to Clarify and Strengthen State-Federal Relationship,” a true partnership, unlike the current tension between the two. Among other things the associations ask that the new executive administration act on the presumption that sovereignty rests first with the individual states and not the federal agencies. They ask that states be consulted before decisions are made. Currently the states are routinely consulted under the letter of the law but then largely ignored. Both Nevada Gov. Brian Sandoval and Attorney General Adam Laxalt have complained that state input on such matters as sage grouse habitat management have been ignored by federal land agents. The letter further asks that when new regulations are being promulgated that the cost to state and local governments be taken into account to ensure funds are sufficient to pay for compliance costs. As for Zinke’s opposition to states taking control of federal land, perhaps he should heed a Wall Street Journal editorial this week that points out federal land agencies lose $2 billion a year. For example, the Forest Service assesses user fees of about 28 cents per dollar spent on recreation, compared to Montana’s $6.31. It is estimated that state-managed lands generate 10 times more revenue per employee than do the feds. We call on Zinke to be cooperative but also compromise on his stance on the transfer of federal public land to the states — especially land adjacent to communities that can quickly put it to viable economic benefit. A version of this editorial appeared this week in some of the Battle Born Media newspapers — The Ely Times, the Mesquite Local News, the Mineral County Independent-News, the Eureka Sentinel, Sparks Tribune and the Lincoln County Record. Someone buy these folks a civics textbook and maybe a Cliff Notes version of the Federalist Papers. This has prompted a number of people to call, again, for the abolishment of the Electoral College, which gives smaller states like Nevada, Wyoming, Montana, the Dakotas and the like a disproportionate say in the presidential election, just as James Madison and the other Founders intended. They were looking for a compromise between the unitary government of England, in which all decisions flowed from the central government, and the Articles of Confederation that dispersed nearly all decisions to the states, weakening interstate commerce and a strong national defense posture. 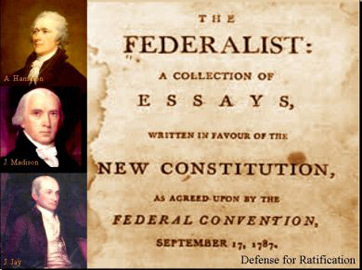 They settled on a federalist system that granted enumerated powers to the people and the sovereign state governments, as well as the federal government. Despite this precaution, the electors were in fact subject to a flood of phone calls, emails and social media diatribes. Joining this cacophony of voices wailing and moaning about the undemocratic nature of the Electoral College was Nevada’s own senior Sen. Harry Reid, who is retiring in less than a month after three decades representing tiny Nevada in the U.S. Senate and more than a decade as Senate Democratic leader. Perhaps, someone should remind Sen. Reid that the Senate itself was created to provide all states with an equal number of representatives in the upper chamber — very undemocratic, indeed, just like the Electoral College. Both were created precisely to be undemocratic and protect the rights of the minorities and smaller states. Now this could get interesting. When the Las Vegas newspaper reported this morning (Don’t bother trying to find it online, I couldn’t.) 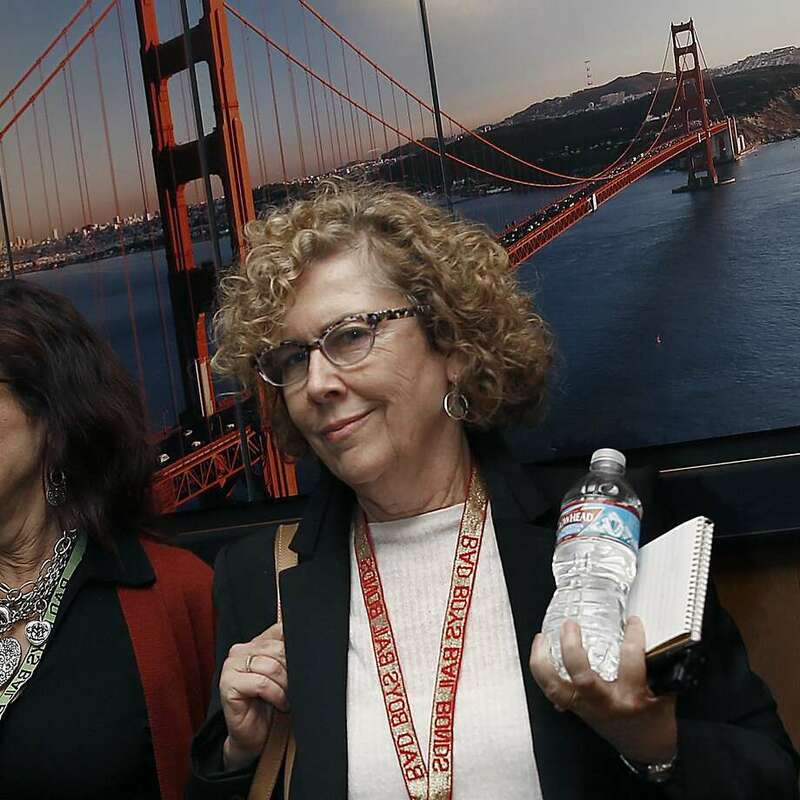 that it has hired a conservative-leaning columnist Debra J. Saunders from the San Francisco Chronicle to cover the White House, I thought: Yeah, right, conservative-leaning at the uberliberal Chronicle is a matter of context. But wait, it gets better. But wait it gets better. While her columns do appear to be rather conservative for San Francisco — such as writing that sanctuary cities are places for career criminals to hide, an op-ed that appeared in the Las Vegas paper, too, as many of her columns have over the years — she will be “objectively” covering the Donald Trump White House after writing just before the election on why she was voting for Gary Johnson. Good luck with getting called on at the next Trump presser. Saunders also made a dig at NBC, wondering if perhaps after the election the voters will learn how NBC, which owned that “Access Hollywood” video, didn’t break the story sooner. “It is impossible to replicate the bond a newspaper columnist establishes with readers. You’ve always let me know what you think, esteemed reader, and you are always in my head. “There is a certain swagger that goes with the job. Of course, there is. The Chronicle has paid me for my opinion for 24 years. How many people can say that they’re paid for their opinions? Better yet, how many people can say they’re paid for their unpopular opinions? On her Twitter feed she says she will write a column for Creators Syndicate. Not sure how well reporting and column writing will jibe, but it should be fun to watch. At least not be boring. If you have a private message, send it to thomasmnv@yahoo.com. "Burke said there were Three Estates in Parliament; but, in the Reporters' Gallery yonder, there sat a Fourth Estate more important far than they all. It is not a figure of speech, or a witty saying; it is a literal fact ... Whoever can speak, speaking now to the whole nation, becomes a power, a branch of government, with inalienable weight in law-making, in all acts of authority. It matters not what rank he has, what revenues or garnitures. the requisite thing is, that he have a tongue which others will listen to ... Democracy virtually extant will insist on becoming palpably extant."